Our Politicking With The People series delves into the politicians, activists and people that make up the political landscape Uptown and beyond. Primary Elections go down this Tuesday, September 10th so make sure you go out and vote and have your voice heard. A. I am Director of Community Affairs for Councilmember Robert Jackson. 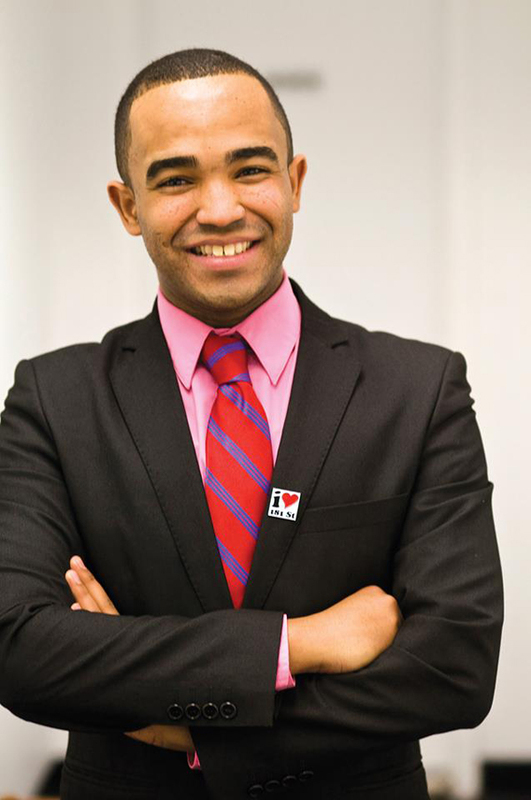 In this role I manage the Councilmember’s two Community Offices in Washington Heights and West Harlem. My role consists of ensuring that we are delivering services to the residents of the 7th Council District and that we are paying attention to the quality of life and safety concerns that affect our communities. Q. Most people hear the word politics and they associate it with something bad, filled with two-faced and corrupt people what would you say to those people? The news reports are filled with instances in which elected officials violate the public trust, but I say to people that our democratic system is premised on the idea of public participation. As citizens we have a duty to pay attention and to hold our elected official’s accountable for their actions and decisions. I also want to caution against adopting a generalized perception of politics and politicians as all being bad or corrupt. There are really good, honest people in politics who work very hard day in and day out to make a positive difference in the lives of others and to represent their constituents with dignity and professionalism. Q. What does politics mean to you? A. Former French President Nicolas Sarkozy best defined my idea of politics a few years ago. In his book, Testimony, he wrote “…whereas the very goal of politics is to provide hope.” Barack Obama took this idea to a whole new level during the 2007-2008 presidential election cycle making hope one of the centerpieces of his campaign. I think that people who are in politics have to first define the challenges facing the communities they seek to represent and then articulate a message of hope for meeting those challenges. I think that politics is about uniting people in pursuit of common goals. Q. Young adults are disproportionately under-represented in politics. Why do you think that is? A. While this is true there is also a developing trend- more young people are getting elected to public office and taking part in political campaigns. I will mention Congressional candidates Hakeem Jeffries and Grace Meng, Councilmembers Julissa Ferreras, Diana Reyna, Ydanis Rodriguez, Eric Ulrich, and Steven Levin, Assemblymembers Robert Rodriguez, Marcos Crespo, Vanessa Gibson and Aravella Simotas and State Senator Gustavo Rivera just to name a few of the young men and women who have been elected to office in our City and our State in recent years. Look at Angel Taveras and Alex Blanco: Mayors of Providence, Rhodes Island and Passaic, New Jersey respectively. So while there is an evident underrepresentation of young people in politics there is also a developing trend that shows that our numbers are growing. Q. 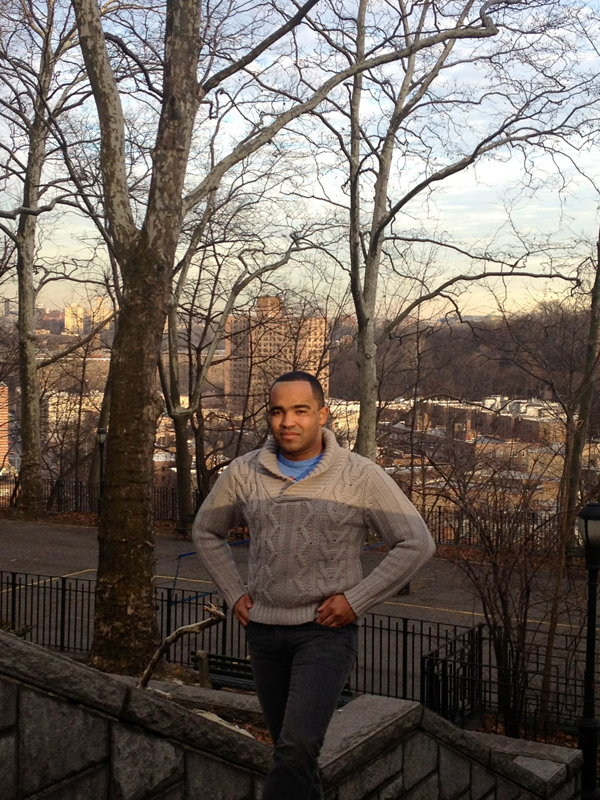 What role does politics play in the lives of the people who live and work in Washington Heights and Inwood? A. Politics is a very important part of Uptowners’ lives even if many of them don’t even realize it. Because of the geographic location and socio-economic makeup of our neighborhoods we often have to work harder to receive the resources and services we need from our government. So, it is very important for our communities to have politically informed and active residents. You also mentioned that our neighborhoods are changing which is another reason for why our neighbors should be politically active. They need to have a say in the extent and pace of the changes that are taking place. Q. There have been a lot of changes to the make up of northern Manhattan communities like Hamilton Heights, Washington Heights, and Inwood do you think this is something that is good for the community? How and why should residents of this community get involved in politics? A. I think that in a city like New York change is inevitable. NYC is constantly reinventing itself. While communities in Northern Manhattan are indeed changing it is important for longtime residents to remain active, to get involved, and to be part of the conversations shaping our communities’ future. They should vote, attend community board meetings, attend precinct community council meetings, Community Education Council meetings and just be up to date with what their elected officials are working on. I think that change is better when the old and the new mix together to create common spaces, not when the new replaces the old and people become divided and even dislocated. I think Washington Heights is undergoing a particularly successful experiment in making this mix between the old and the new. If we do a better job in preventing the flight of families and young professionals from the neighborhood due to increasingly prohibitive residential and commercial rents I think we would see a very successful outcome to our experiment. Q. What is a fundamental change that needs to happen in our government in order for it to function better? Because I currently work in government it is hard for me to answer this question free of bias. I think that it is more important for us in government to listen from our constituents what they want their government to look like. I do urge citizens to be active in the civic life of their communities, to vote, to attend community meetings and to communicate with their elected officials often. I don’t believe in complaining without taking action and wanting to contribute to the solution to those complaints. We live in one of the most politically open societies in the world and we need to do a better job in forming part of it- a citizen’s civic duty doesn’t end at the ballot box. Q. Politics plays a huge part in Dominican culture, as a Dominican now involved in politics in New York City how has your culture and history influenced what you do? A. Politics has always been a part of my family’s conversation and experience. As a little boy I remember all the grown-ups around me being enthralled by the leadership of José Francisco Peña Gomez and despising that of Dr. Joaquín Balaguer. My family comes from a part of the country where wealthy landowners often abused more humble people like my parents and this inequality and injustice ultimately shaped my political ideals; which are fairness, inclusiveness, and the extension of opportunities. In politics or not I will keep working to further those ideals.